With the rapid development of Internet of Things and smart services, massive intelligent devices are accessing the cloud data centers, which can cause serious network congestion and high latency issues. Recently, fog computing becomes a popular computing paradigm which can provide computing resources close to the end devices and solve various problems of existing cloud-only based systems. However, due to QoS (Quality of Service) constraints such as time and cost, and also the complexity of various resource types such as end devices, fog nodes and cloud servers, task scheduling in fog computing is still an open issue. To address such a problem, this paper presents a cost-effective scheduling strategy for multi-workflow with time constraints. Firstly, we define the models for workflow execution time and resource cost in fog computing. 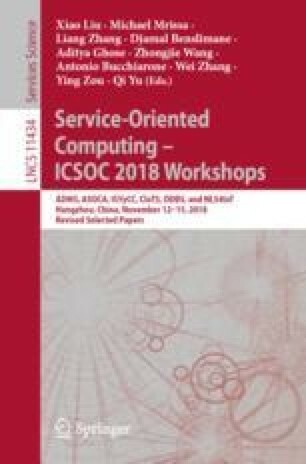 Afterwards, a novel PSO (Particle Swarm Optimization) based multi-workflow scheduling strategy is proposed where a fitness function is used to evaluate the workflow execution cost under given deadlines. A heart rate monitoring App is employed as a motivating example and comprehensive experimental results show that our proposed strategy can significantly reduce the execution cost of multiple workflows under given deadlines compared with other strategies. This work was supported by the National Natural Science Foundation of China under No. 61672034, 61300042, and the Natural Science Foundation of Anhui Province of China under No. 1708085MF160, and the Key Natural Science Foundation of Education Bureau of Anhui Province Project No. KJ2018A0010.